Life in the tundra is hard, but reindeer have it easy thanks to their amazing evolutionary enhancements. Their noses are specially adapted to warm the air they breathe before it enters their lungs and to condense water in the air, which they then use to keep their mucous membranes moist. Their fur traps air, which not only helps provide them with excellent insulation, but also keeps them buoyant in water, which is critical being as how they often travel across massive rivers and lakes while migrating. Historically, the European/Asian reindeer and American Caribou were considered to be different species, but they are actually one and the same. There are two major groups of reindeer, the tundra and the woodland, which are divided according to the type of region the animal lives in, not their global location. 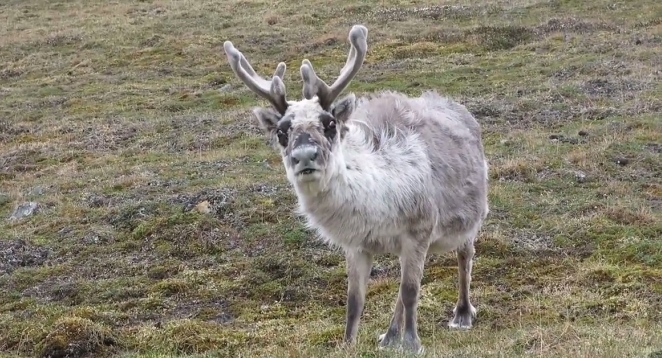 Responses to "The Cutest Svalbard Reindeers You Ever Did See"